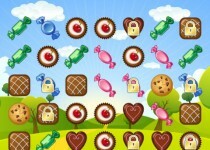 If you're crazy about chocolate, then you’ll LOVE this game! 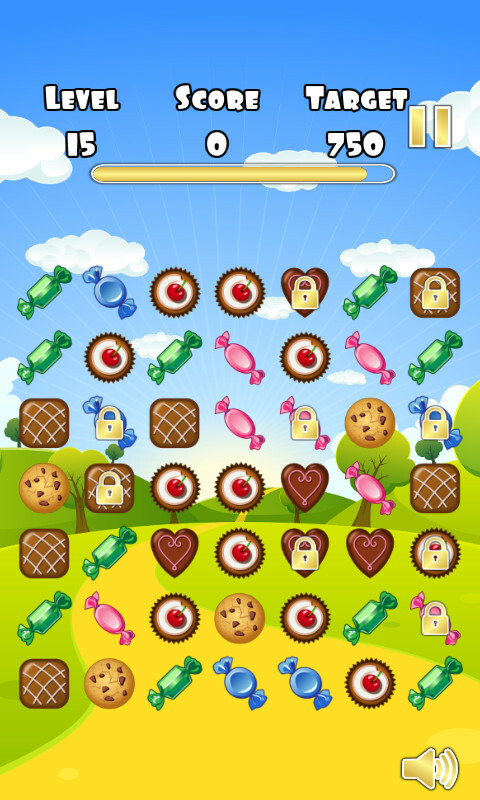 If you’re crazy about chocolate, then you’ll really LOVE this game! 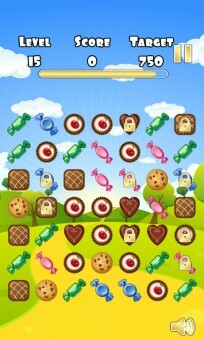 Chocolate Dessert Crazy is a delightfully easy-to-play puzzle game. Simply draw a line connecting three or more of the same kind of chocolates to eat them. 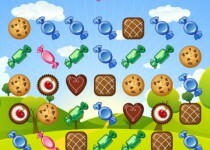 The more you chocolates you eat, the more points you earn. 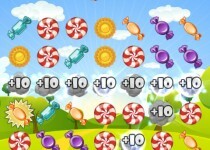 Connect five or more to score double points. Link eight or more to triple your score. 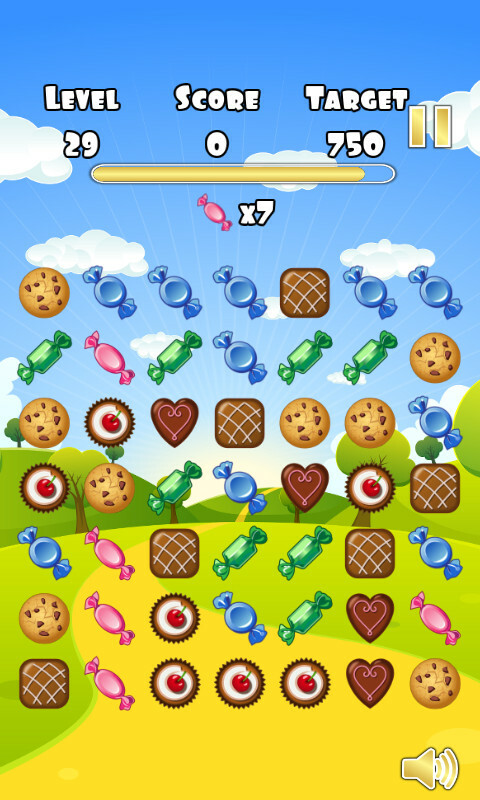 A true master will earn quadruple points by chaining 14 or more chocolatey treats! 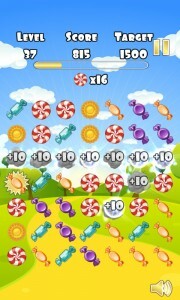 Your objective is reach the target score before the clock counts down to zero. Watch out, time is short! 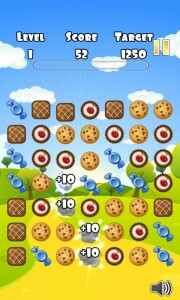 While it starts off easy, Chocolate Dessert Crazy will become more challenging as you master the game. 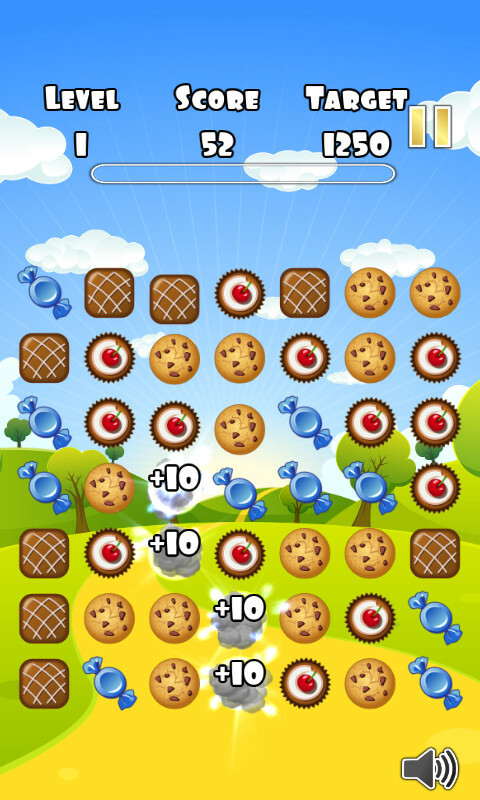 Later levels mix things up and throw new challenges at you. 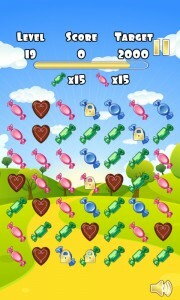 Look out for locked chocolates which have a gold icon on them. Before they can be eaten they have to be unlocked by being matched in a chain. Your skill will be challenged by level quotas. 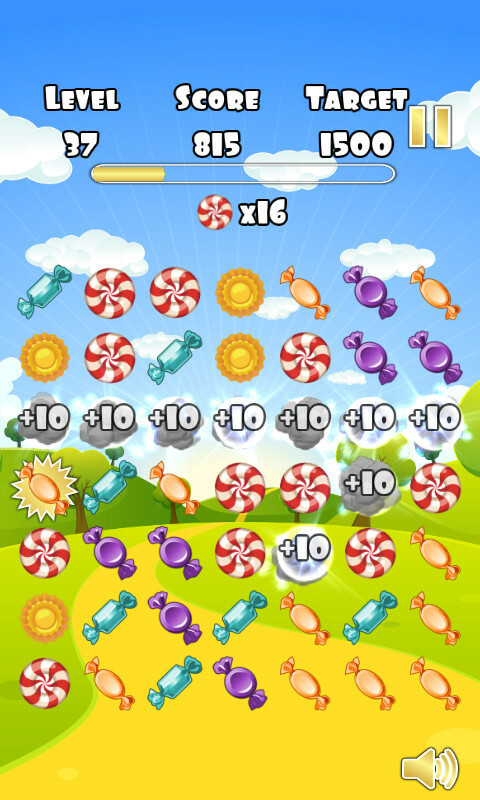 In addition to reaching the target score before the time runs out, you’ll also have to eat a quantity of certain chocolates to progress. 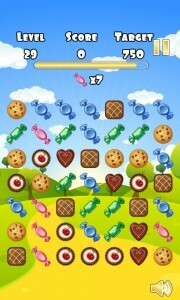 Chocolate Dessert Crazy’s action is fast and frantic. Don’t worry about being called away in the middle of a level though. The game will save your position so you can resume at any time you like. 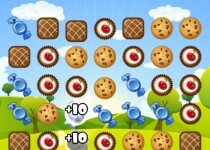 Chocolate Dessert Crazy is a casual game that is perfect for all ages. 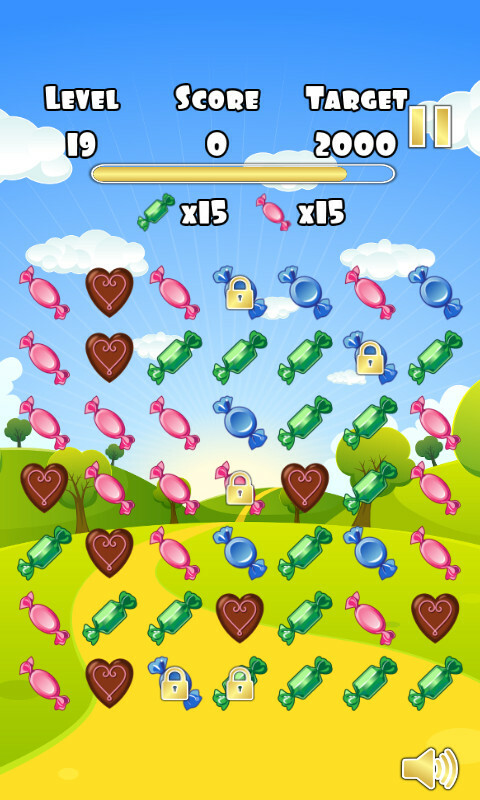 The awesome music and sound effects complement the sweet graphics. It looks and plays great on any device, tablet or phone. It is completely free, with no in-app payments. It also has no calories! Our gourmet dessert chef has been hard at work preparing a huge range of taste treats just for you. 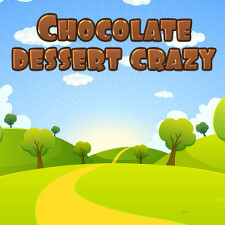 With over 25 varieties to try, you’re sure to find a favourite in Chocolate Dessert Crazy!